Robart 7/16" (11.1 mm) diameter RoboStruts. Can be used for giant size airplanes weighing up to 18 pounds (9kg). With real functional oleos and torque links, that can be used on grass or paved airfields. Made from real aircraft grade materials, welded and heat treated components. 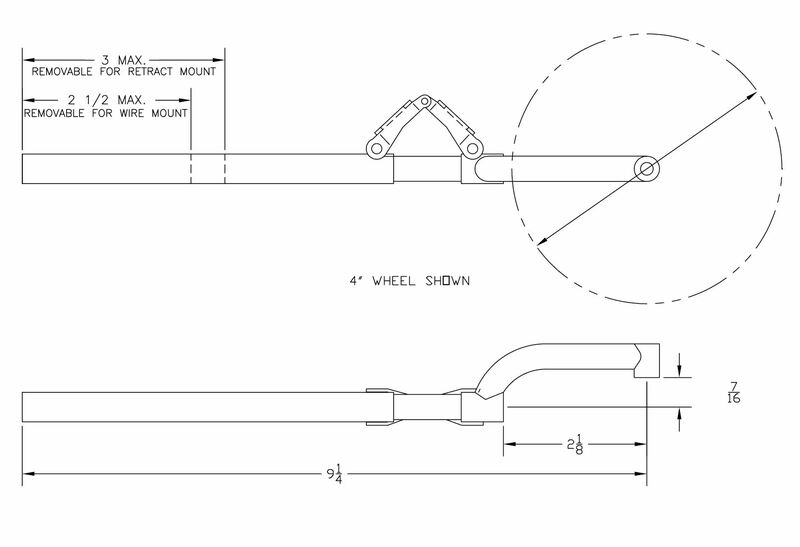 Robart 7/17" (11.1 mm) diameter RoboStruts are made for giant size airplanes weighing up to 18 pounds. With real functional oleos and torque links, that can be used on grass or paved airfields. Can be used with the retract systems from Electron. Also the 1/2" retract set can be used with the adapter included. 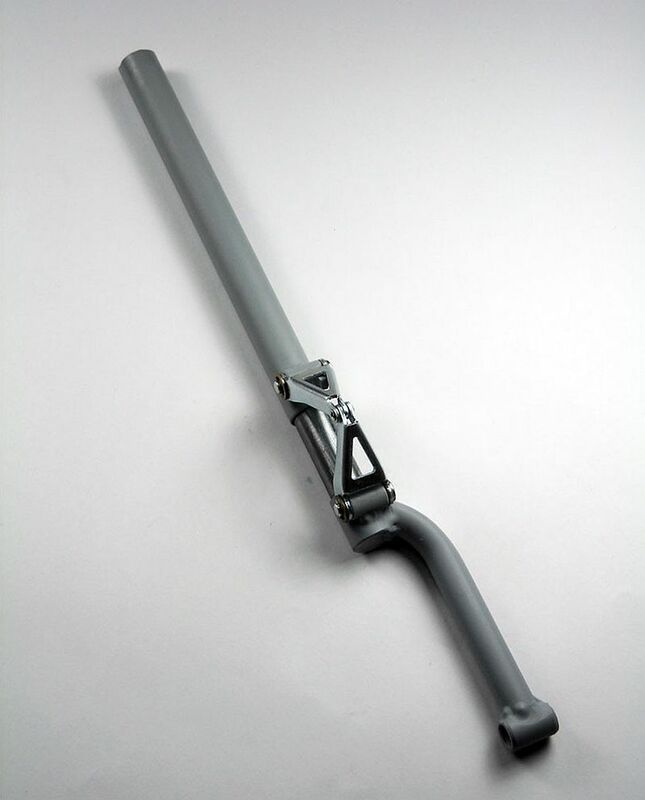 Made from real aircraft grade materials, welded and heat treated components, these struts come with easy to use 3/16 inch (4.8mm) dia. wire adapter, also a split sleeve adapter to fit all popular 1/2 inch (12.7mm) socket type retract units. These RoboStruts are available in straight, right or left offsets (up to a 4 inch dia. wheel), and a fork style oleo.